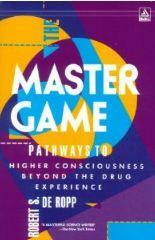 The Master Game is a book CONCERNED with GAMES and AIMS.. Seek, above all, for a game worth playing. Such is the advice of the oracle to modern man. Having found the game, play it with intensity – play as if your life and sanity depended on it. (They do depend on it.) Follow the example of the French existentialists and flourish a banner bearing the word “engagement.” Though nothing means anything and all roads are marked “NO EXIT,” yet move as if your movements had some purpose. If life does not seem to offer a game worth playing, then invent one. For it must be clear, even to the most clouded intelligence, that any game is better than no game. Thank you for this site.Informative and fun!